Yet a name sometimes matters more than anything else, especially in a different language or culture. Imagine going to a shop in Poland, then you would be looking for a “sklep”. But that same word would lead you into a “cellar” in the Czech Republic and even into a “grave” in Russia. In business it is especially important to pay attention when conveying a message into a different language or culture, because it can be the difference between success and failure. People are not going to buy a product if they cannot pronounce it, or if it doesn’t make sense in their own language. 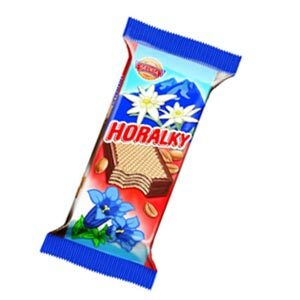 The bestselling wafer in Czech Republic and Slovakia since 1953 was introduced to Poland in 2007 under its original name “Horalky” (Hora/Gora means a mountain in Slavic languages). The sales just weren’t where the company expected, and they realised something wasn’t quite right. In spite of the similarities between the languages, one key difference is that where Slovaks use a “h”, Poles often use a “g”. It was only with the name change to “Góralki” in 2012 that the product started to fulfil its potential in Poland. And there are other examples of brands who had the same issues. Cif, the famous household cleaning product was formerly known as Jif. Yet many European countries struggled with its pronunciation, and the producers decided to change its name in favour of their customers. The same goes for Pepsi in Argentina and Mexico. In 2009, the producers decided to change its name to “Pecsi” as locals struggled to pronounce its original form. The change raised many eyebrows, but surely it shows how Pepsi is ready to listen to its customers. Understanding and taking into account cultural nuances help to integrate with different cultures and improve the brand connection with customers. It is essential to keep the emotion and the meaning of the original name in a different language. This is best achieved using a professional marketing translation service, with in-country marketing specialists. A company focused on marketing translation will involve marketing specialists for the transcreation process, where issues such as the name change might arise.